There's been a lot of talk about 'ugly', 'wonky', produce recently. I love the fact that Ilana Taub and Michael Midge-Dixon created Snact to find on a way to stop it going to waste! Read on to find out how they have already saved seven tonnes of fruit! Each day in the UK, tonnes of ugly, bruised and unwanted fruit and veg gets thrown away. 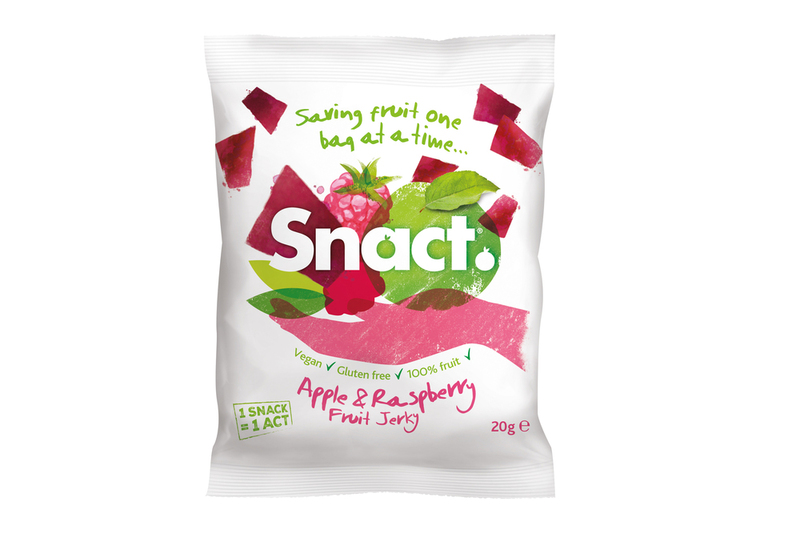 Snact is a eco-conscious company that's created an easy and tasty way for us to do our bit to help reduce food waste. 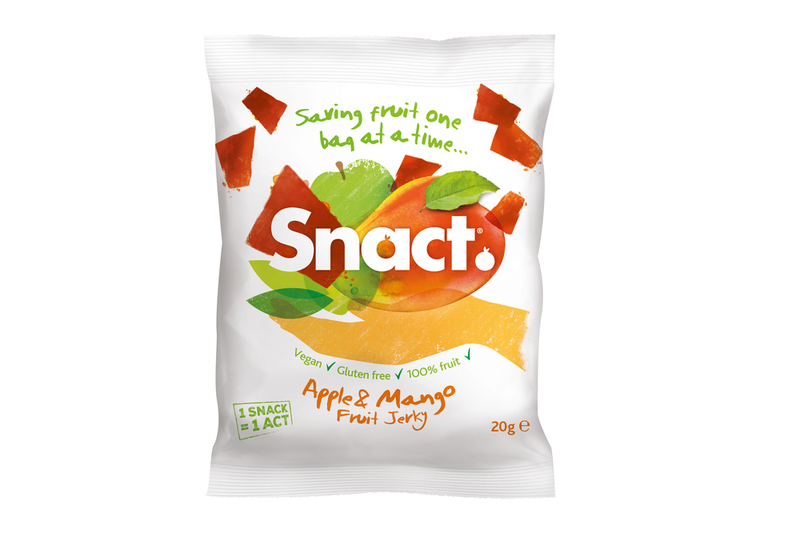 Snact uses unloved fruit to make fruit jerkies that are bursting with natural flavours! They're tangy, punchy and will make you mouth-water. What's in one of Snact's jerkies? These blended dried fruit jerkies utilise everything apart from the pips and stalks to create a snack or on-the-go treat which contains less than 65 kcal per bag. Snact’s jerkies don't contain any additives or preservatives and are gluten free and vegan friendly. Also, because the whole fruit is used, they are packed with 2.8g of fibre per 20g bag too. Last year, the Soil Association reported that a staggering 20-40% of produce was rejected simply due to not looking right. One third of the food we grow globally gets wasted and that’s outrageous when you consider how many resources go into growing this food and how people in the world still go hungry everyday. Food waste makes us angry. This is what inspired Ilana and Michael to create and launch Snact in 2015 to help combat food waste. As a result, seven tonnes of fruit has already been saved. Snact has built relationships with farmers and packers in the UK and further afield, sourcing unwanted produce, be it too big, too small, too ugly, bruised or simply surplus to requirements, saving it from being wasted. Michael and Ilana’s mantra is that ‘Snactivism’ doesn’t have to happen on a large scale to make a big impact. It’s all about little acts adding up to something meaningful, so one Snact equals one act! Snact is based in Brixton, London, although we manufacture in Kent. 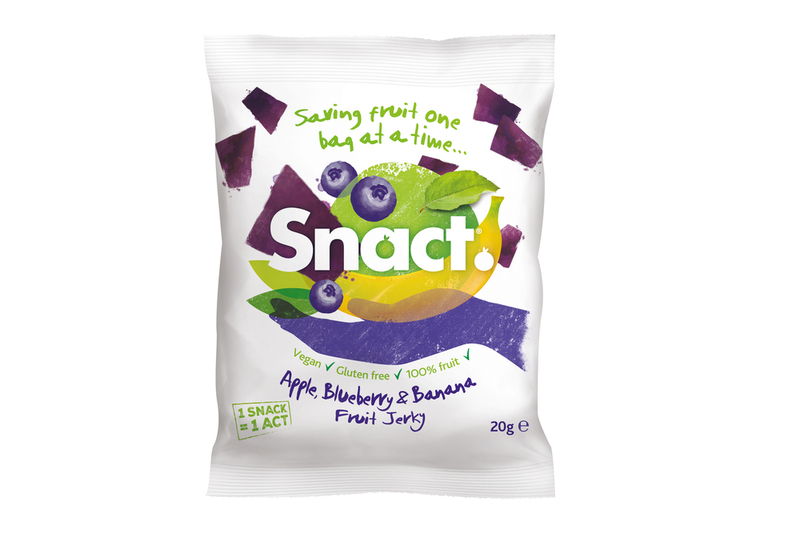 You can get your hands on a pack of Snact (£1 for a 20g bag) by visiting www.snact.co.uk. There's over 70 independent outlets across London and the rest of the UK, which sell our products. You'll also be able to buy Scacts from Ocado very soon. Apple, Blueberry and Banana - we have just launched this flavour and it seems to be very popular! Snact is not owned by, or in partnership with, another company that tests on animals or sells non-vegan products? If you would like to read about other vegan businesses, click here to sign up for Plant Shift's monthly newsletter. Vegan Grindhouse brings Americana Street Food to the UK! A vegan ski trip with delicious food? Yes!